The one and only Rolling Stones reunited at the O2 centre in London to hobble energetically through a pulsating bout of pouting as they sizzled their way through their timeless hits. But in the indomitable spirit of dyed in the wool trouble makers, they overshot their pathetic curfew of 10:30 pm and are now staring down the barrel at a £200,000 fine from the local council. When a clipboard wielding jobsworth pulled the plug on Bruce Springsteen and Paul McCartney earlier this year in Hyde Park, it was the final straw for promoter Live Nation. They pulled out of all future events at the park citing unacceptable restrictions on noise and timings, and effectively consigned the park to a future of roller blading and tranquility. Boris Johnson was the first to come out against such assiduous following of the letter of the law, and the implication was clear. If London wished to remain a global hub of music and entertainment, they would have to relax certain restrictions to a reasonable compromise. The Stones rampaged through their greatest hits and a couple of fresh gems while receiving video messages from a host of stars including Iggy Pop, Johnny Depp, Elton John, Cate Blanchett, Nick Cave and The Black Keys. They were also joined on stage by former bandmates Bill Wyman and Mick Taylor, along with special guests Mary J Blige and Jeff Beck. 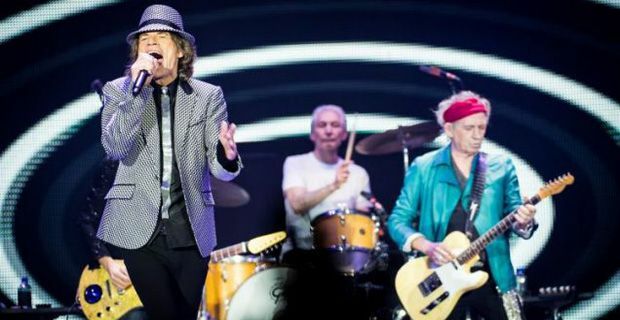 The Stones will be playing a second show at London's O2 Arena on Thursday. Whether the council decides to wreak revenge for them overshooting by 35 minutes or not remains to be seen.